Get valuable industry insight from AFS. Sign up for our e-news! Security systems integrators can be incredibly profitable enterprises. 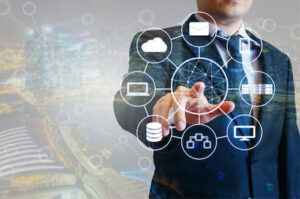 Many of these companies have gained strength in the past few years, and have started to make a name for themselves in the security industry. If you are the owner of a security integration company and you’re ready to make your next move in the market, we are here to help you make it happen. At Acquisition & Funding Services, we have decades of experience handling mergers, acquisitions and sales of a wide variety of security businesses, including fire alarm businesses, security alarm businesses, CCTV businesses, integration businesses and more. With access to well qualified buyers and sellers, we have the ability to facilitate transactions that are beneficial to all parties involved, with integration companies selling for top dollar. Whether you’re moving on to a new opportunity in the industry, exiting the industry to pursue another venture, or retiring, we can help you sell your integration business for maximum profit so you’re able to fund your next endeavor. As an experienced broker, we have the knowledge and resources necessary to help you coordinate and negotiate a profitable sale. If you’re looking for an experienced ally who can help you get the most out of the sale of the integration organization you worked hard to build, you’ve come to the right place. 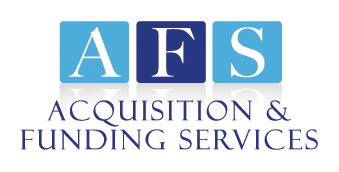 When it comes to selling your integration company, AFS can be an incredibly valuable partner. From helping you to prepare your organization for sale to finding a buyer willing to pay top dollar and ultimately closing the sale, AFS will guide you every step of the way. Ready to learn more about how AFS can help you sell your integration company for maximum profit? Call Rory Russell today at (800) 354-3863 or contact AFS online to get the conversation started. Would you like to receive industry insight & email updates from AFS? “When AFS initially contacted me, I told them that I was not in the market to sell my business. I told them that I had considered selling a couple years ago, but I could not get the price or the terms to meet my requirements. However, I told Rory that if he could get the right price and ensure terms that were good for my customers, employees and my company, I would consider selling. Well, AFS went above my expectations. Rory presented several qualified, potential buyers; some with similar and some with not so similar proposals. Ultimately, AFS facilitated the sale with an excellent buyer; one that would meet all my requirements and best interests. 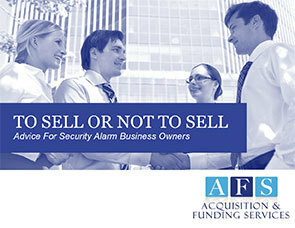 Sell Your Security Alarm Co.
Design & SEO by Mannix Marketing, Inc.
© Acquisition & Funding Services. All rights reserved.